Teens may not want to hear your ideas on keeping them occupied, but there are numerous summer activities for teenagers that will keep them entertained and busy all summer long. Teens may meet your initial ideas with some skepticism and even a feigned (or real) lack of interest. While there will always be those teens who are over-achievers---those who continually search for a new activity, job or volunteering opportunity to take up virtually every hour of their day, many teens don't relish the idea of others planning their days. If you want to get your teen involved, you may have to "sell" your ideas. How can you do this? Give them choices. Don't limit their options, and let them make some of the most important decisions. Listen to their ideas. Instead of presenting suggestions that only come from you, ask for their input and really listen to their ideas. Show them what's available. Simply telling them about a volunteering opportunity may not do the trick, but if you take them to the site of the activity, you may find that they jump at the chance to join in. Encourage them to get their friends involved. Starting a new job, new hobby, or new sport can be intimidating. 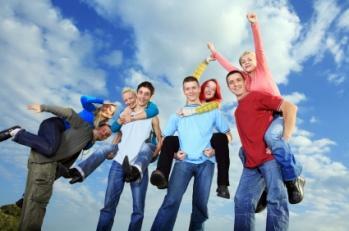 Suggest that your teen invite a friend to come along to enjoy this new experience. Just what kind of summer activities for teenagers are available? There are actually numerous opportunities for teens to involve themselves during summer break. Many of these activities will get teenagers off the streets and involved in something that could benefit them not only now but also in the future. As teens make contact with others, whether it is through volunteer efforts, part-time jobs, or organized sports, they build references that can be used throughout their academic years and even in their future careers. Jobs-Sure the economy makes it more difficult for kids to procure jobs, but innovative teens can find ways to make money. Encourage your teen to look around your neighborhood. Does your elderly neighbor need help in her yard? Could your child mow the grass, clean out gutters, paint trim, or walk the dog? How about becoming a personal shopper and shopping for groceries for a homebound person? Can your teen type? Let your child advertise in your local paper asking for work, such as typing documents, research papers, etc. for so much per page. Talk to your child about starting a car wash business. He or she and several of his or her friends could do this all summer long! Summer theater-Most towns have a summer theater program, and if your teenager has an interest in the arts, this may be the perfect activity for him or her. Watch your local entertainment section of the newspaper for auditions, or if he likes working behind the scenes, he might consider volunteering as a stagehand. Social clubs-Many areas have social clubs, and for teens who like this type of environment, there are plenty of opportunities. Most social clubs do a variety of volunteering, and they also plan lots of fun activities. Summer recreation programs-Whether your child wants to get involved in sports or she likes the idea of learning a new craft or hobby, your recreation department may offer a host of activities in which she can participate. Many of these will be free or nearly free! Camps-If your teen thinks he is too old to enjoy attending a camp, think again! Instead of being one of the participants, however, why not encourage him to be a camp counselor? Volunteering-If you and your teen aren't sure where to look for volunteer opportunities, your local United Way is a great place to start. You can also look in your local newspaper for listings of volunteering opportunities. Summer adventures-Still searching for something to occupy your teenager? Why not plan a whitewater rafting trip, hiking adventure, or some other outdoor activity with a group of friends and a few adults? While there are many teens who find plenty to do without any suggestions or help from others, there are some who need a little boost to jumpstart their day. These summer activities for teenagers, as well as others that you might think of, can fill your days with fun and action. If you have any other suggestions, please tell us in the comments section of this article!